If you’ve got kids between 8 and 18-years-old, you’ll know all about Fortnite. With 40 million players, it’s the latest gaming craze which has kids hooked. With media reports suggesting kids are becoming addicted to Fortnite and other games, many parents are asking — how do we get our kids to back away from the screen? One great way to get kids off computer games but keep them entertained is via podcasts. 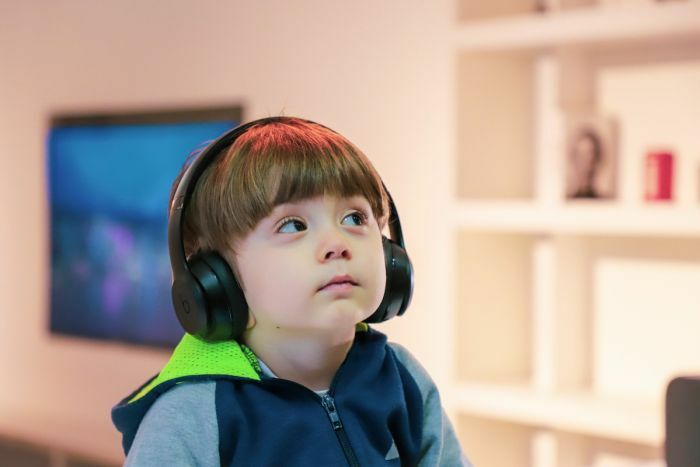 There’s been a boom in podcasts for kids and there’s something for everyone. There are even podcasts that adults can listen to (and enjoy) with their kids. The school holidays are a great time to give them a go — they’ll keep kids entertained as the kilometres click over on those long road trips. Here are a few that might help make the journey go a little quicker. You know what’s kind of dull? The term “media literacy skills”. You know what’s fun, though? When you smell a rat and yell out “liar, liar pants on fire!”. The game show for kids manages to pair the two in a show that’s so much fun, your kids won’t even realise they’re learning critical questioning skills. Here’s how it works: a normal, everyday child is in the hot seat. Their job is to channel their best quizzical Eddie Maguire moves and interview two adults who claim to know everything about a particular topic. The twist? One of them is lying. Can our clever kids work out who’s full of knowledge, and who is full of it? With topics from superheroes to chess, it’s funny, fast paced, silly, surprising, and super fun to play along with. See if you can pick the liar in Pants on Fire from Gen-Z Media. 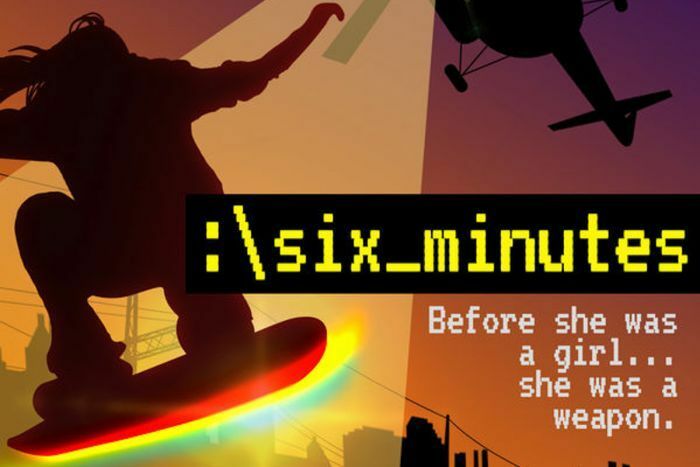 If your kids enjoy getting sucked into mysterious and gripping fictional stories, then Six Minutes will have them hooked quicker than they can say “are we there yet?”. The story centres on a mysterious girl called Holiday who is found floating in icy waters off Alaska by a family. She has no memory of who she is or where she came from. The parents who find her pretend she’s one of their children, but you don’t know why. You do know there’s something very different about Holiday — she has unexplainable and mysterious powers. It’s intriguing and slightly eerie and the drama of each episode unfolds in six minutes. PHOTO: ABC podcast Short and Curly asks children fun questions about ethics. 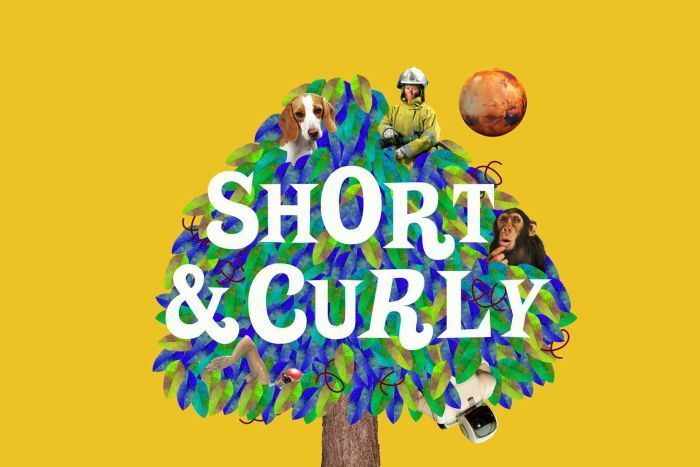 Short & Curly is for kids who like to question what’s right and wrong and why humans act the way they do. What you’ll hear: curly ethical questions, silly drama, real life examples, puns, gags and zany sound effects. Hosts Carl and Molly tackle topics such as: Is it ever okay to dob on someone? Should we ban lollies? Are some types of pets more important than others? The show is designed for solo or family listening and is sure to get you laughing, talking and possibly re-thinking what you believe and why. Ponder a Short & Curly question on the ABC Listen app. If you’re a parent, there are two words guaranteed to make your eyes roll when they come out of your child’s mouth —”but why?”. Good news! There’s a podcast that can help you with an answer. 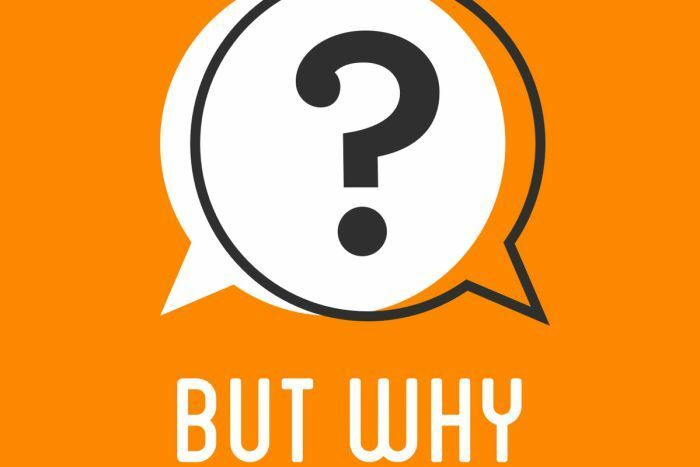 But Why (the podcast, not the question) is a great show for kids who are curious about the world around them and want answers to their questions. You’ll learn cool stuff too! Like, why do we need sleep? Why does every country have a flag? Why do we laugh? Why do flamingos stand on one leg? Have your questions answered by But Why on VPR. Cat or dog? Book or movie? Pizza or taco? These are just some of life’s big questions tackled on Smash Boom Best. This podcast takes two things, debates which one is better, then lets kids decide which is best. It’s fun and entertaining because the “debaters” bring facts, figures and a whole lot of passion to the debate. There’s suspense. You don’t know who’s going to win until the end — sometimes you can be disappointed as your team doesn’t always win. It’s produced by the team which makes Brains On!, an award winning kids science podcast also worth checking out. Each episode looks at a different question like, how did dinosaurs get so big and how do volcanos erupt? 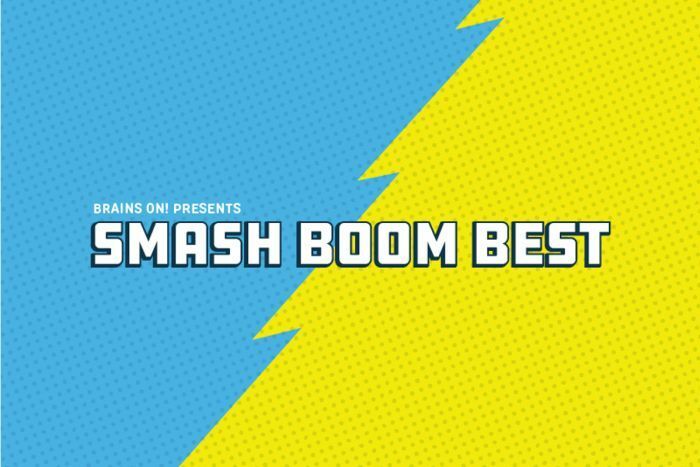 Hear Smash Boom Best from APM. 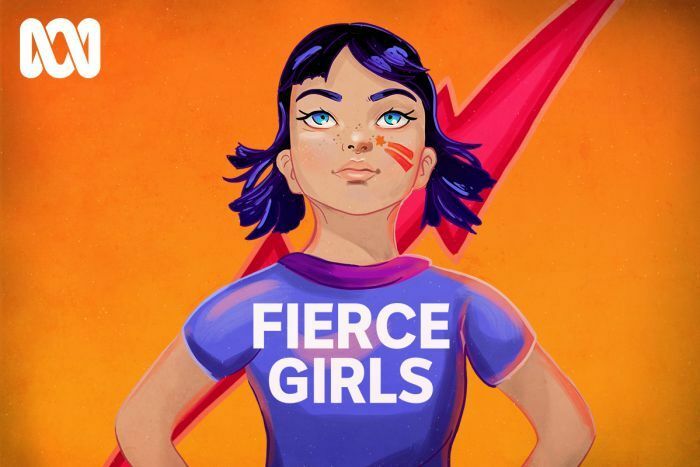 If your kids love stories about spies, aviators, adventurers, ceiling smashers and incredible athletes, then they’ll love Fierce Girls. 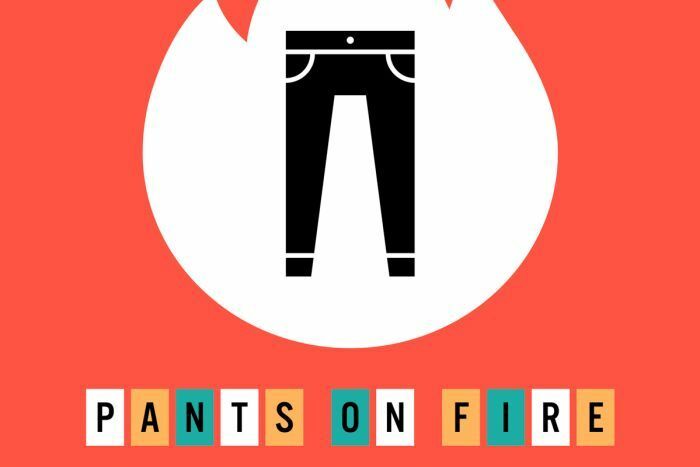 This podcast tells the stories of Australian women who dared to do things differently. You’ll hear the stories of Nancy Wake, Jessica Watson, the incredible Cathy Freeman and many more. Try picking the voices of some amazing women reading the stories like surfer Steph Gilmore, journalist Lisa Wilkinson and actor Justine Clarke.